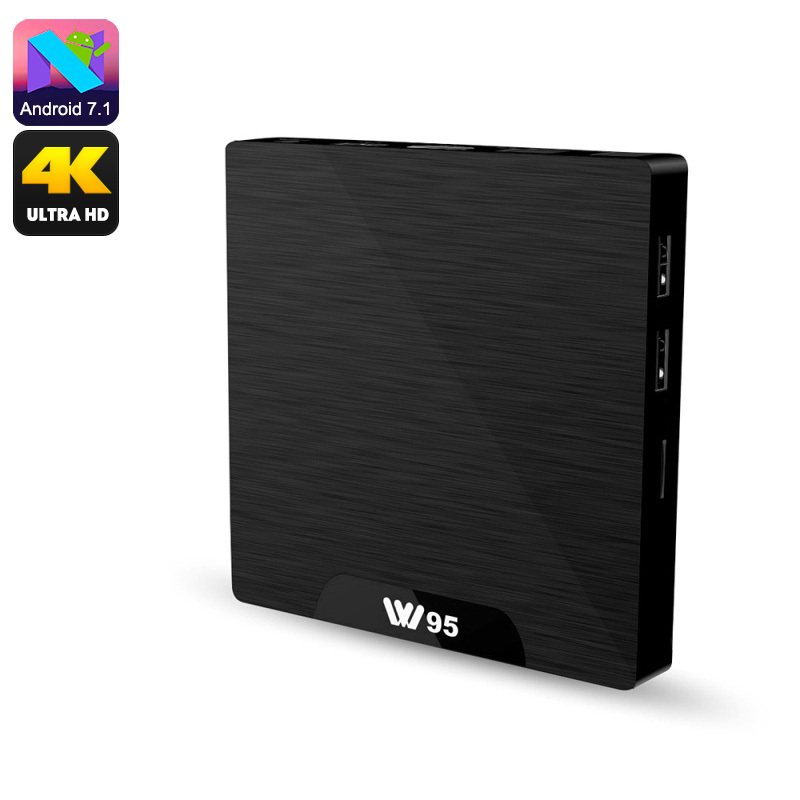 Successfully Added W95 Android TV Box - 4K Support, Android 7.1, Google Play, Kodi TV, Quad-Core CPU, WiFi, DLNA, Miracast to your Shopping Cart. Turning your regular TV set into a full-blown Android smart TV has never been easier and cheaper thanks to the W95 TV Box. This stunning Android media player lets you enjoy all the latest Android features straight from your TV. Whether it is games, Apps, or movies – nothing is too much for this cool gadget. It even lets you browse the web from your TV thanks to its WiFi support. From now on, you’ll be able to stream movies and use social media. Getting your hands on the latest media has never been easier thanks to Play Store and Kodi TV access. Fill up the TV box’s 8GB ROM with games, films, and series and never experience boredom again. Those of you who need even more storage is able to easily slide in a 32GB SD card slot. By supporting a 4K display resolution, this Android TV box treats you to absolutely stunning visuals. You’ll be able to enjoy crisp detail and vivid colors while watching movies and series. This 4K TV box packs a sophisticated Quad-Core processor and 1GB of RAM to handle all the basic entertainment features. Along with its Android 7.1 operating system, a smooth and lag-free user experience is guaranteed at all times. To further increase your overall user experience, the TV box supports Miracast and DLNA. These features allow you to easily share files and mirror that what’s happening on your smartphone’s display straight onto your TV.